Russia’s Federal Air Transport Agency has lifted the earlier imposed validity period restrictions to Air Operator Certificate Dexter airline, owned by Avia Management Group . The resolution became effective on February 17, two days after Dexter had been enlisted in the renewed list of the carriers eligible for government subsidies. FATA imposed a limit on Dexter’s AOC due to its unstable financial standing until February 21. The authorities did not provide any details on the carrier’s situation. However, it is no secret that this year the airline was able to start regular operations only in February. The delay was explained by the fact that the federal subsidy program in Volga region, where the carrier operates, had been curtailed. According to the schedule posted on Dexter’s web-site, it provides service on four routes – between Nizhny Novgorod and Perm, Nizhny Novgorod and Izhevsk, Ulyanovsk and Perm, Kazan and Penza. On February 15 three of these routes (except the first one) were included in the list of subsidized intraregional routes. Dexter is listed as one of the recipients of the federal aid. Earlier in February Svobodnye Novosti newswire also reported that Dexter had managed to reclaim through court action 4.370 million rubles (about $75,000) from the administration of Saratov region, which it owed as subsidies for flights operated in September through December 2015. 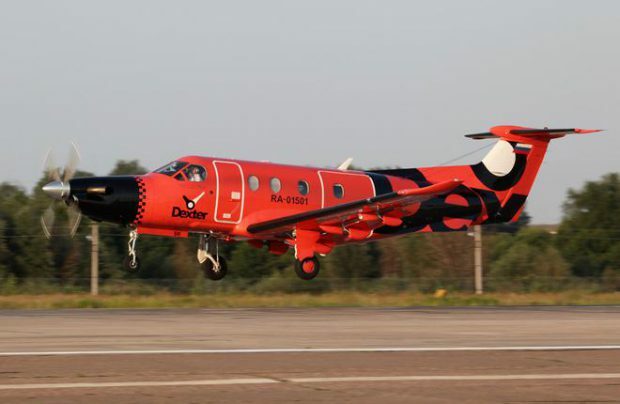 Dexter is Russia’s only commercial operator of Swiss-made Pilatus PC-12 single-engine turboprops. It uses its fleet of ten such aircraft for passenger transportation and aerial works.